Mariners Hospital has been named one of the nation’s top hospitals by the Leapfrog Group, an independent, quality-review organization. This is the third time Leapfrog Group has recognized Mariners as a Top Rural Hospital. Mariners was one of a group of 94 standout hospitals honored at a recent ceremony in Washington, D.C. The list included 24 Top Rural Hospitals, 61 Top Urban Hospitals and nine Top Children’s Hospitals. Mariners Hospital is one of two rural hospitals in the state to make the list. The Leapfrog Top Hospital distinction, which is given to less than seven percent of all eligible hospitals, recognizes hospitals that deliver the highest quality of care by preventing medical errors, reducing mortality for high-risk procedures and reducing hospital readmissions for patients being treated for conditions such as pneumonia and heart attack. Selection is based on the results of The Leapfrog Group’s annual hospital survey, which measures hospitals’ performance, focusing on three critical areas of hospital care: how patients fare, resource use and management structures established to prevent errors. The Leapfrog Group describes the Top Hospital designation as the most competitive national hospital quality award in the country. “Leapfrog’s Top Hospital award is widely acknowledged as one of the most prestigious distinctions any hospital can achieve in the United States. It recognizes institutions for their excellence in quality of care and patient safety, as well as their commitment to transparency. By achieving Top Hospital status, Mariners Hospital has proven it’s a premier institution and deserves to be recognized for its dedication to the families and patients in the Upper Keys,” said Leah Binder, president and CEO of The Leapfrog Group. 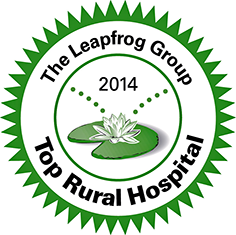 To see the full list of institutions honored as a 2014 Top Hospital, please visit LeapfrogGroup.org/TopHospitals. Mariners Hospital is part of Baptist Health, the largest healthcare organization in the region. In addition to Mariners Hospital, Baptist Health includes Baptist Hospital, Baptist Children’s Hospital, Miami Cardiac & Vascular Institute, Doctors Hospital, Homestead Hospital, South Miami Hospital and West Kendall Baptist Hospital as well as more than 30 outpatient and urgent care facilities spanning three counties. The not-for-profit, faith-based Baptist Health has more than 15,000 employees and 2,200 affiliated physicians and includes Baptist Health Medical Group, Baptist Outpatient Services and internationally renowned centers of excellence. Baptist Health Foundation, the organization’s fundraising arm, supports services at all hospitals and facilities. For more information, visit BaptistHealth.net. The Leapfrog Group (LeapfrogGroup.org) is a national nonprofit organization using the collective leverage of large purchasers of healthcare to initiate breakthrough improvements in the safety, quality and affordability of healthcare for Americans. The flagship Leapfrog Hospital Survey allows purchasers to structure their contracts and purchasing to reward the highest performing hospitals. The Leapfrog Group was founded in November 2000 with support from the Business Roundtable and national funders and is now independently operated with support from its purchaser and other members. The Hospital Safety Score (HospitalSafetyScore.org) is an initiative of The Leapfrog Group. Tags: Leapfrog Award, Mariners Hospital.